I made some excursions to study persons appearing in the Etteilla biography: First his three major students d'Oudoucet, Claude Hugand and Hisler ... well, that's all in the interest to identify, what happened really with the Petit Dames des Oracles. From some researches it seems clear, that this was made in the circle of Jacques Grasset St-Sauveur (1757 - 1810), possibly with the help of L.F. Labrousse and/or J. Laroque (if this weren't the same person). The Petit Oracle des Dames was announced for the first time in January 1800, but the address of Grasset St.-Sauveur had been already in 1797 related to the production of an Etteilla text (according an information of DDD). Sainte-Anne, n° 11, chez Dodoucet (2). The society is mentioned in DDD. This is a text, which indicates some trouble between d'Odoucet and Etteilla / C. Hugand. The story of the trouble is told in DDD p. 103/104 ... well, I recommend, that you read it. Well, I didn't find something new of real interest in this point, but I noted, that DDD described, that d'Odoucet (or Dodoucet) got personal trouble in 1797 and was threatened by prison. And this might be precisely the year, when something of Etteilla wandered to the publishing house of Grasset St.-Sauveur: "L'art de lire dans les cartes" (1791) transmuted in parts to "Le tireur de cartes, ou le cartonomancien" / (1797 Deroy; Deroy appeared 1800 in the production of Petit Oracle des Dames). As Dodoucet really had problems, he might have decided to have running projects published elsewhere. Inside the publishers' world this would have been a logical solution. Dodoucet proceeded with his problems, and the year 1807 brought a new crisis. DDD writes: "We know, that Dodoucet, citoyen in Paris, was under house arrest in Lille since 1804." In 1808 there were complaints and his arrest was ordered at 7 November 1808. This was the last information about Dodoucet. I for my part see, that Bloquel and Castiaux united in 1809 in Lille and then Etteilla material appeared by Blocquel and also they used a Petit Oracle des Dames in 1809 (Andrea Vitali's version)... one year after Dodoucet had disappeared. About Claude Hugand, who first had trouble with Dodoucet (1790) and then moved from Lyon to Paris to cooperate with Dodoucet in a publishing house the last information had been from 1794 (in DDD). A teaching book for math in schools. I also found a publishing date of the same text in 1798. So his life has become a little bit longer. ... see "Hisler" and "Eteilla"
Book catalog of Baumgärtner in the year 1794 (in the same announcement). Höhere Kenntniß 3te Fortsetzung, nebst einem Anhang der Berechnung des Herrn von Hisler, eines Preußen und Mitarbeiters des Philosophen Eteilla, welche durch einen philosophischen und mathematischen Grundsatz die glüklichen Nummern der Lotterie und des Lotto bestimmen, mit 32 Kupfern, brochiert. ... 12. Gr. "Higher knowledge of third degree, beside an appendix with calculation of Herrn von Hisler, a Prussian and a cooperator of the the philosoph Eteilla, which by a philosophical and mathematical conclusion allows knowledge about the lucky number of lotteries, with 32 copperplate engravings ... 12 Groschen. " Actually "Höhere Kenntniß 3te Fortsetzung" (here translated with "3rd degree") actually indicates [Fortsetzung = continuation], that this is Volume 4 of a text titled "Höhere Kenntnis ... ". As Etteilla (who is treated in the announcement in a manner, as if the readers know, who he is) had written 4 works in continuation (4 "cahiers" of "Maniere de se recréer avec le jeu de cartes nommées tarots. 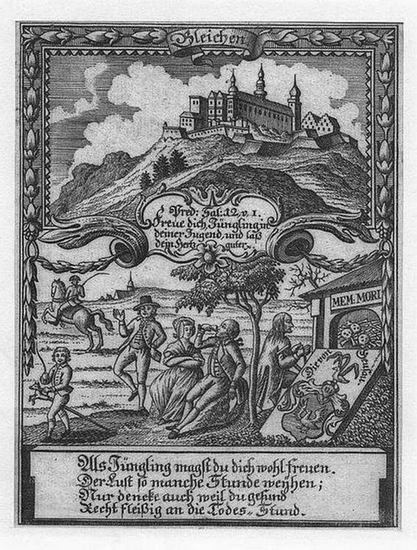 "), this "3te Fortsetzung" is strange, as an earlier work of Etteilla in German language isn't known. This condition naturally mustn't be true, it's possible, that an underground translation was distributed "between friends" in small number. Another (easier to believe) possibility is, that Hisler was only interested in the 4th cahier, in which he could present his own Lotto system. Hisler is mentioned at DDD at pages 82, 100 and 113. At page 82 it is spoken from the time around 1782, but it is referred to a Lotto book which presents the year 1772 (3x). DDD doesn't reflect the contradiction at this place ... so the reader stays confused. At page 100 DDD presents, that Etteilla in 1791 noted (it's not totally clear, where this should be), that Hisler was his student in 1769/70 and and made his own Lotto system, which Etteilla used in 1782. Further we learn, that Hisler visited Etteilla in 1788 (this information came from a private letter) ... and 1788 is the date of the Etteilla Tarot . ... and Hisler is suspected by DDD to have influenced it ... which is very plausible, as Hisler had in Baumgärtner an own publisher (see above) in 1794. The situation is so, that we don't know, who made the engravings for the book of Etteilla Tarot. DDD at p. 89 present a quote from 1783, in which Etteilla complains about the technical problems ... and the taste of the public. He desires to have such cards ... and although, as we know, he had connections to the Strassburg scene of engravers, he saw some problems for a production. Now I made my studies to get anything about this "Hisler" from the web, who is a rather unknown man. The name Hisler is not very common, so it's not the type of difficulty, that one is drowned in too much entries. I found an engraver ... Georg Hisler. I found works of him from c. 1600 (city view Florence), c. 1700 (city view Lyons), c. 1730, 1790, 1798 (and others from around this later time). His special objects were city views. A Prussian or Saxon background is probable. I didn't found much. I observe, that the author of 1794 is addressed as Herr "von Hisler" and engraver Georg Hisler didn't use the "von". But I also observe, that this engraver made a city view of Lyons (possibly partly a copy of an older work, so the confusion about the date; well, it's a French city) and that the author "Hisler" was at the right time 1788 in Paris. And then we have the Etteilla Tarot made in 1788. And we have, that Hisler is called Etteilla's best pupil. And we have, that Hisler could transfer the Etteilla Tarot to Germany to Baumgärtner. The dreams got numbers ... I first had difficulties to identify, what the numbers are good for. Now I realize, that these likely are lucky Lotto numbers. ... with some enthusiasm about Freemasonry and interest in the French revolution had spend some time in Paris and listened to a speech of Etteilla. He translated the text of the speech, which was given to the opening of a magical school at 1st of June 1790. Archenholz got difficulties in 1792 and left Paris. The author is extremely enthusiastic about the speech, and I find the translation rather boring, in a negative manner "geschwätzig". I found a reflection on the Baumgärtner productions, though from 1793, so earlier than the notes of 1794. Number 2 refers to the playing cards of Etteilla. Number 5 again starts with "Höhere Kenntniß" and is clearly related to card playing divination. But it's not given as "3te Fortsetzung" or "Fortsetzung" with another number ... and the description is different. So one has to conclude, that there were indeed was one book "Höhere Kenntniß etc." and (probably) indeed it had 3 "Fortsetzungen", as earlier suspected. The text talks of "64 Kupfern", which could mean, that the book referred to a deck with 64 cards, possibly a "double Petit Etteilla deck" (2x32 = 64). DDD had pointed to an earlier divination deck with 66 cards (c. 1790) in a footnote, which was presented in the catalog of an exhibition by Depaulis in 1989. 66 = 2x33, so actually this might have been also a double 'Petit Etteilla". So one likely has to search for this "Höhere Kenntniß etc." versions. In the text of Nr. 2 it's said about Eteilla, that he had told the French king Louis XVI 7 years long about his future sad destiny. Who's Brini, who has to be a famous cartomancer? I've no answer in the moment. DDD doesn't mention this name. The context is curious. Google books gives "1750", but that's nonsense, as the book is a reprint of a later time. The tet appears in a sort of advertisement after the book has finished, in which it is part of a longer passage inside the advertisement page. The passage opens with the announcement of 40 pieces collected from Cologne Cloister manuscripts made in 1734 ... which apparently should have been also wrong, as Etteilla wasn't born then. A lot of nonsense ... well, who is Brini? I don't know that. The oldest year number between the books, which are announced, is from "1790" ... so likely one has to assume, that the text was reprinted with modern advertisement in the 1790s. Worldcat knows only a reprint of 1810. I found the same announcement text in a reprint of 1760. ... which apparently had reprints (the picture above is from a reprint). Had one of the reprints included the much later Etteilla text? I don't find an online edition of the work. The same stupid stuff appears in the announcement of a reprint in 1854. The publisher claims a "wortgetreu" reprint ... so each word should be as in the edition of 1734. It' very apparent, that he hadn't an edition of 1734. Or ... where else should be the error? ... and then follow 32 pages from 189 - 221. In the summary Prof. Halle is not a friend of the revolution and the Etteilla nonsense is in his eyes an expression of this new "Gallomanie". And - quite in contrast to the translation of Johann Wilhelm von Archenholz, described above - it's indeed amusing to read him. Very interesting research, Huck. I just want to make a few additions. The 1782, according to DDD p. 82, is two leaflets, one called "Instruction sur le loto des Indiens que nous a donné en 1772 Mr. Etteilla, professeur d'algèbre (Instruction upon the Indians' Lotto which Mr. Etteilla, Teacher of Algebra, gave us in 1772), and the other "Instruction sur la combinaison hislérique, extraite du Loto des Indiens (Instruction upon the 'Hislerian' Combination, extracted from the Indians' Lotto). The 1791 work is that which DDD on p. 100 call "his [Etteilla's] 1791 reprint of L'homme a projets". Voyez la Lettre sur l'Oracle du jour, imprimée en 1772, page 4: Marquise, vous êtes mon amie,...pour aller en Prusse, &c. Voilà une Lettre d'un de mes Éleves qui fait fortune! This same table of correspondences between letters and numbers that we see in Philosophie des Hautes Sciences appears in D'Odoucet's Science des Signes bol. 1 (1804), p. 124, in the context of a short piece on how to use the contents of dreams or visions to win the lottery. You convert the word for the dream-symbol into numbers. He gives a good explanation of how to convert the word to one number (you add up the numbers for the individual letters and subtract 90), but then I lose him. Abraham, juif et Flamel, ont copié litteralement les hiéroglyphes qui sont sur les feuillets du livre de Thot, pour en faire les tableaux ou estampes de leur ouvrage! Voyez Mutus Liber, le triomphe hermetique, les 12 Clefs de Bazile, et enfin voyez-les tous. (Abraham the Jew and Flamel have copied literally the hieroglyphs that are on the leaves of the book of Thoth, in order to make the tableaux or prints in their work! ...Abraham, juif et Flamel, ont copié litteralement les hiéroglyphes de ce livre pour en faire les tableaux ou estampes de leurs ouvrages. Voyez Mutus Liber, le Triomphe hermetique, les douze Clefs de Bazile Valentin, et enfin voyez tous les autres philosophes. Clearly this one, published 1804, is the source of the other, of 1809. In contrast, in Etteilla himself I have so far only found, in the same context, "Abraham, juif et Flamel". Moreover, as you point out, Huck, we have D'Odoucet's whereabouts as Lille (where he was under house arrest) in 1804-1808, per DDD (p. 108), from police reports, the last information about him from any source being an order in Lille for his arrest, 7 November 1808, presumably because he was often out of town. all Hisler passages in Etteilla writings together. Dummett expressed once, that there were many of them. According to DDD, p. 79, there was the little booklet Lettre sur l'oracle du jour of 1772, under the signature of one 'Duchessee de ***", "which we may suspect to have been written at Etteilla's request. As I said in my last post, , this booklet mentions Hisler (although DDD do not mention this fact). Then on p. 82 of DDD, we learn that in 1782 Etteilla wrote the pamphlet "Instruction sur la cominaison hislerique, extraite du Loto des Indians", which of course has Hisler in the title. ...that of his five hundred students, a hundred and fifty had become professional cartomancers, but only two in Europe were really good ones: Hisler, a Prussian who lived in Berlin, and 'H. Jejalel' from Lyons; 'all the others are charlatans', he adds! From one of de Bonrecueille's letters kept at the Lyons City Library, we know that Hisler came back to Paris and visited Etteilla in 1788. He may be responsible for the German translation of Cours theorique et pratique du livre de Thot which was published at Leipzig in 1793. Hisler, Etteilla's Prussian disciple, may have been responsible for this German edition. The text was reissued at Stuttgart in 1857, in a collectino called 'Kleiner Wunder-Schauplatz' of which it forms volume 14. But here, the pictures are engraved on wood; the reader is invited to cut them, past them on cardboard and put them into a case. DDD do not mention the reference to Hisler that I gave in my last post, from Philosophie des Hautes Sciences, 1785, p. 43. There is more about him on p. 44 of that work, describing Hisler's system of letter-number correspondences. My attempt at translation follows. Otherwise, I have looked through all four Cahiers, including their supplements, except for the supplement to the 3rd, the 1773 edition of his book on the 33 card deck, the Zodiaque Mysterieux of 1772 (which has a different system of letter-number correspondences! ), his Lecons Theorique and Pratique of 1787, and the rest of the Philosophie des Hautes Sciences, 1785, with no mention of Hisler. Perhaps the Sept Nuances, 1786, does mention him, as it deals again with the Lottery system, according to p. 10 of a supplement to the Lecons Theorique et Pratiques; but I haven't seen it. Also, he might have been mentioned in the pamphlets put out by the Interpretes 1790-1791. I haven't seen them. I doubt if there is much more, but I will keep a lookout. ... maybe you know it. The Etteilla article starts at page 431 and ends at 484. DDD calls it the first biography of Etteilla (see 76 and reference at p. 275) ... from Millet-Saint-Pierre 1859 (but my text is from 1857 and seems to refer to publications of 1855-56 and it was repeated (?) in 1859). Thanks for these links, Huck. Looking over it quickly, I see that much of the material is repeated by DDD. Instead of citing Millet-Saint-Pierre, they cite the primary sources, as preserved in libraries. There is also plenty not in DDD, presumably material that DDD couldn't themselves verify. For example, he has frequent quotes from a work I don't remember DDD mentioning, Etteilla's "Lettre a M. Gebelin". There are numerous quotes from letters and brochures not mentioned by DDD. Since this biography is generally oriented toward making fun of Etteilla, I don't expect that these quotes are representative ones. (Etteilla for him is one among many representatives of that dark 18th century time of superstition, occultism, and quackery, unlike the time of reason in which he himself is writing.) There is one long quote from Sept Nuances (p. 468) giving the flavor of that work; it is about the difference between alchemical gold and physical gold, typical alchemical writing, although Millet-Saint-Piere considers it nonsense. At the end he has a list of Etteilla's works, which has several that DDD don't include. I notice that Millet-Saint-Pierre talks about Etteilla's course of study in terms of "degrees", a term you were wondering about earlier, Huck. On p. 453 of your first link he cites an advertisement in which Etteilla will teach the first three degrees in six lessons. In another place (I can't locate it at the moment) he talks about the fourth and fifth degrees, for which there is also a course of instruction.